Diogo Calila is a right footer just as 62% of CF Os Belenenses. Diogo Calila was used in three of the matches in the present term. Having been born in 1998, on October 10, his age of 20 makes him junior to the average player of CF Os Belenenses. Standing 1.8 meter high, he is as tall as his team's mean height. Back in 2019, Portuguese defender Diogo Calila's contract with CF Os Belenenses (Portugal), the club he is still a member of, took effect. 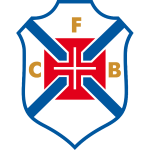 He is currently seventh in Primeira Liga (Portugal) with his team CF Os Belenenses. On the whole, he never left the pitch after kickoff. In the present term, he played less games from match start. Diogo Calila completes CF Os Belenenses's defensive department, alongside players like Cleylton, Pierre Sagna, Kiki, Goncalo Silva, Vincent Sasso, Alex Figueiredo, Luis Silva and Zakarya Bergdich. He received the number 44 tricot at CF Os Belenenses. Not once did he gain a penalty in his tenure. Diogo Calila played three matches in total and hindermost appeared five days ago. His squad concluded in a tie in 40% (40% home) in Primeira Liga. Therefore they have not won a single match recently but at least managed to end in a draw 3 times. The briefest time his spent on a team counts merely three months in his present club. Before joining CF Os Belenenses, Diogo Calila impressed at SL Benfica and FC Pacos Ferreira. 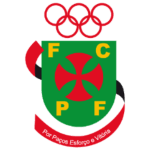 His record stay with a club is FC Pacos Ferreira (Portugal) with one year and 0 days.